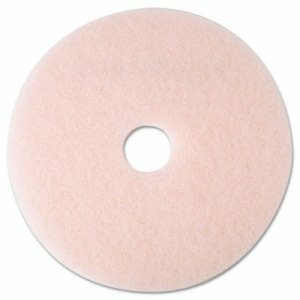 Only $37.85 Ultra High-Speed Eraser Floor Burnishing Pad 3600, 19" Diameter, Pink, 5/Carton 048011258577 25857 3M/COMMERCIAL TAPE DIV. Removes black marks in fewer passes and retains excellent gloss and image clarity. Excellent durability and minimal finish removal. Application: Buffing; Polishing; Diameter: 19"; Color(s): Pink; For Use With: Ultra-High-Speed Burnishers (1500 rpm+).